Damita Brown a dedicated and innovative diversity and inclusion professional was recently appointed Interim Director of the City of Columbus’ Office of Diversity and Inclusion. Brown was appointed by Mayor Andrew Ginther after the departure of Steve Francis. Francis had served in the role since January 2016, when Mayor Ginther appointed him to the newly created cabinet-level position of chief diversity officer. The Mayor’s Office of Diversity and Inclusion (ODI) is responsible for supporting Mayor Ginther and his Cabinet Leadership Team by leading diversity and inclusion management within the City of Columbus. The ODI focuses on four pillars of diversity and inclusion management: Workforce Diversity, Supplier Diversity, Diverse Outreach and Internal Diverse Leadership. 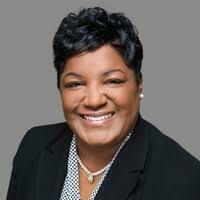 Ms. Brown is an accomplished diversity and inclusion professional, with more than 10 years of successful leadership and management experience in the field. Damita is a graduate of Capital University, where she majored in Political Science and held a concentration in Ethnic Studies. She is also a graduate of The Ohio State University, where she obtained a Master of Arts degree in Public Administration. Ms. Brown’s career has been distinguished by a rich and unique history and an overwhelming ability to develop collaborative partnerships that promote strategic business and community partnerships. “Damita has been working in the diversity and inclusion arena for 10 years and with our Office of Diversity and Inclusion since it was formed. I have every confidence that she will step into the role as interim director and lead the office in accomplishing this important work,” said Mayor Ginther. Brown was the recipient of the 2016 OhioMBE Publisher’s Award.